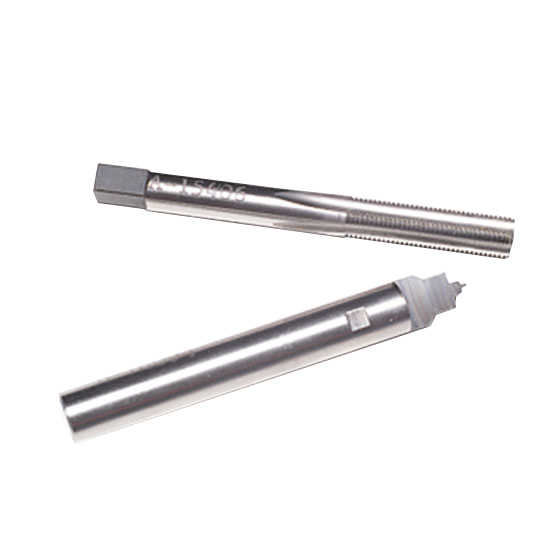 This drill and tap set is used to precisely machine the concentric holes needed for mounting K Connector ® in housings. This is the kit to use when stress relief contacts (also known as sliding contacts), K110-1, K110-2 or K110-3, are being used. If you are NOT using stress relief contacts, order the 01-104 Drill & Tap Set instead. Allows all concentric holes to be drilled simultaneously using a mill. Intended for use on soft metals such as aluminum or brass. Also can be used on stainless steel at very low feed rates. Center hole is sized to maintain proper characteristic impedance when sliding contacts are used.